Alan is Tax Counsel and Treasurer for Lawyers For One America, a pro bono legal services group based in Northern California. He provides pro bono, tax and legal services to underserved individual clients and not for profit organizations in the region. Alan was formerly Vice President Tax and Treasurer at Dolby Laboratories Inc. (2007-2018) where he was responsible for all tax matters of the company. On the Treasury side, he oversaw cash operations, insurance, foreign exchange, and investment portfolio management. Before joining Dolby in 2007, Alan was Vice President, International Taxes, at Oracle, where he led the international tax group there. He has extensive experience in taxation for multinational corporations, having also held tax and treasury positions at Cisco Systems, the business consulting firm Fair Isaac, and others. Alan began his tax career at Arthur Anderson & Co. in 1976. 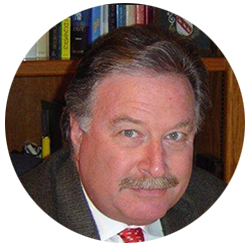 Alan is an attorney and is a member of the bars of California, New York and New Jersey. Alan is also a Certified Public Accountant (New Jersey). He is the former President of the San Francisco Foreign Tax Club, former co-leader of the North Bay Tax Directors Group, and a member of the Silicon Valley Tax Directors Group. Alan holds an L.LM in Taxation from the New York University School of Law, Graduate Division; a J.D. from the University of Toledo College of Law; and a A.B. from Syracuse University. He was awarded the first national Tax Executive Institute Pro Bono Award in 2009 for his volunteer legal services on behalf of Lawyers For One America.